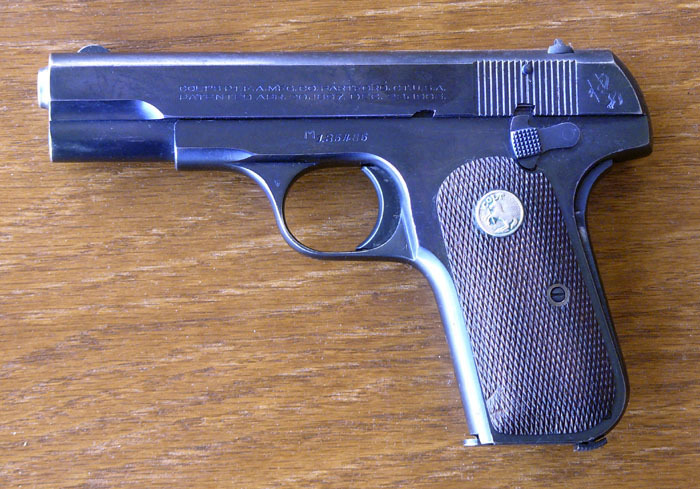 1908 Colt Pocket Model Type V. This is a .380. Note the “M” prefix stamped in front of the serial number. although the lettering is remarkably clear.